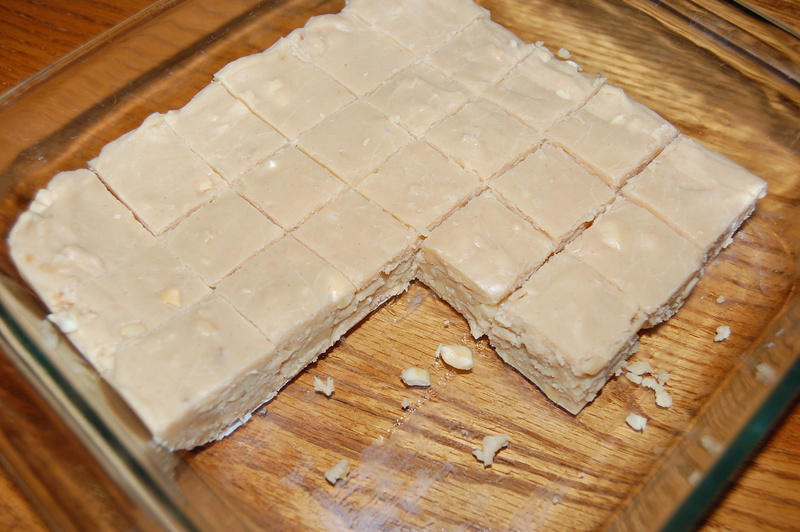 Sweet, creamy, peanut butter fudge with crunchy salted peanuts...Oh Yeah!! In a heavy saucepan over medium heat, cook milk and peanut butter, just until bubbly, stirring constantly. Remove from heat, stir in white chocolate until smooth. Immediately stir in peanuts and vanilla. Spread evenly into a wax paper lined 8 or 9 inch square baking pan. Set aside to cool. Cover and chill 2 hours or until firm. 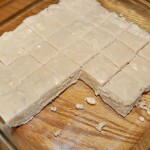 Turn fudge onto cutting board, peel off wax paper and cut into squares. Store covered in the refrigerator.